Δελτίο τύπου: «Some of them you’ve heard before of, some perchance not. But that is of no consequence. The key is Linde, Gas, Niclas and Anthony are gathered here, in the presence of public eye, to be united a new glorious union called FLAT EARTH. Albeit the musos have cut their teeth in circles far bigger (i.e. 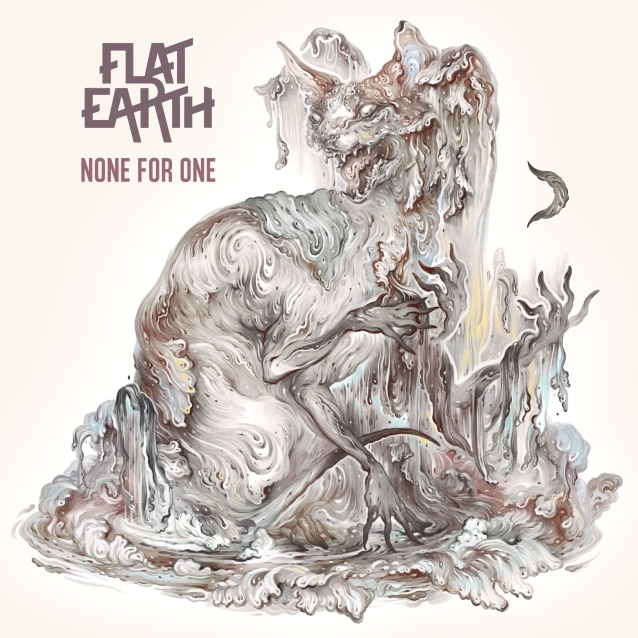 HIM, Amorphis, Polanski…) than their current merger, hailing from Helsinki, Finland FLAT EARTH is anything but your run-of-the-mill ‟super group”. The fearsome foursome is an ideal amalgamation of love for music, every band member’s unique skillset and battle-tested charisma, completed with a dynamic of a band that has been playing together for aeons. The audible musical signposts point to the heydays of alternative rock, takes a nonchalant bow to the forefathers of all things heavy with a pinch of wistful psychedelia. Magnetically melodic, playful, exhilaratingly unconstrained and thoroughly permeated by vocalist Anthony’s passionately melancholic overtones, FLAT EARTH delivers in the same parcel both the beauty and the beast. Label: Drakkar Entertainment, Suur Etikett Inc.